As I've mentioned before May is our busiest month so I still have lots of events to catch up posting about, and they are just all so beautiful I can't help but share them with you! The following few events were for a golf tournament at The Carlton Woods Country Club. This first picture includes rich reds, coppers, oranges, and browns creating a romantically rich and intimate setting for dinner. Don't forget about the details. It's amazing how event he smallest detail can add the the overall experience of your guests. These hypericum berry wraps add just the right amount of color against the chocolate satin napkins anf rich linens provided by The Linen House. 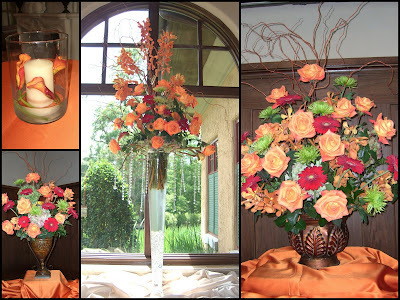 The tricky thing with doing back to back events is making sure that each event has it's own distinctive style. It's the challenge we thrive on. 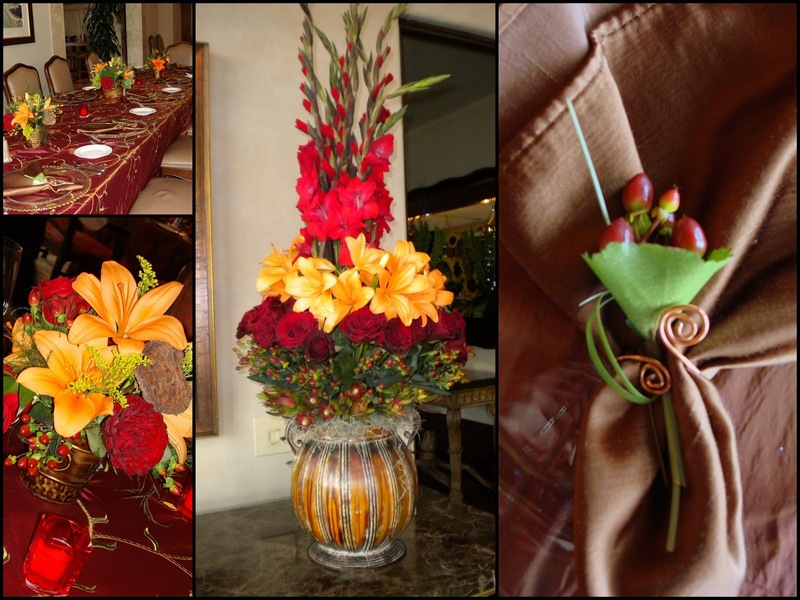 Incorporating different flower types and colors can create an entirely new ambiance for your guests and help to distinguish between events. This photograph was for a more casual lunch. Now, I don't know about you, but I can't get enough of these giant sunflowers. They are litterally the size of my face, you can't help but smile when you see them. 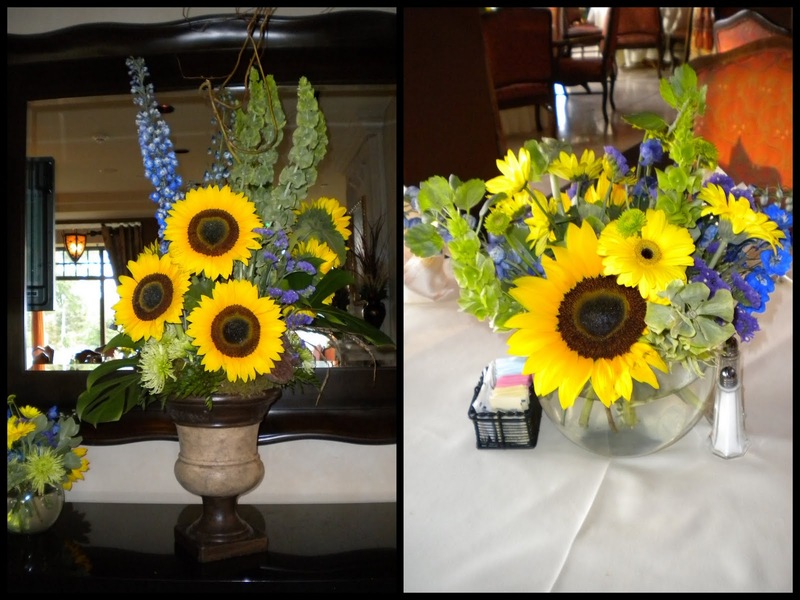 And who doesn't love a casual country feel with sunflowers and blue delphinium?